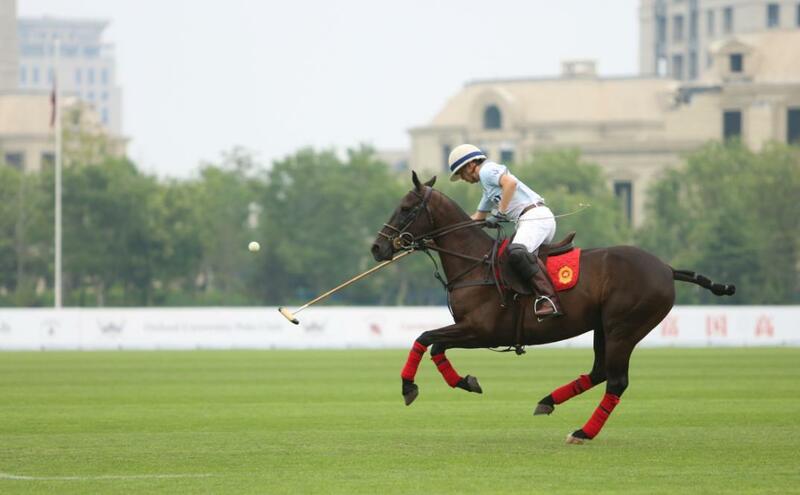 Tianjin, China, 16 July 2016 – The University of Oxford Polo Club and The Cornell Polo Club will meet tomorrow in the final of Tianjin’s Metropolitan Intervarsity Polo 2016 tournament, aka The London Challenge, after notching up impressive semi final wins today against Harvard University Polo Club and Skidmore Polo Club respectively. 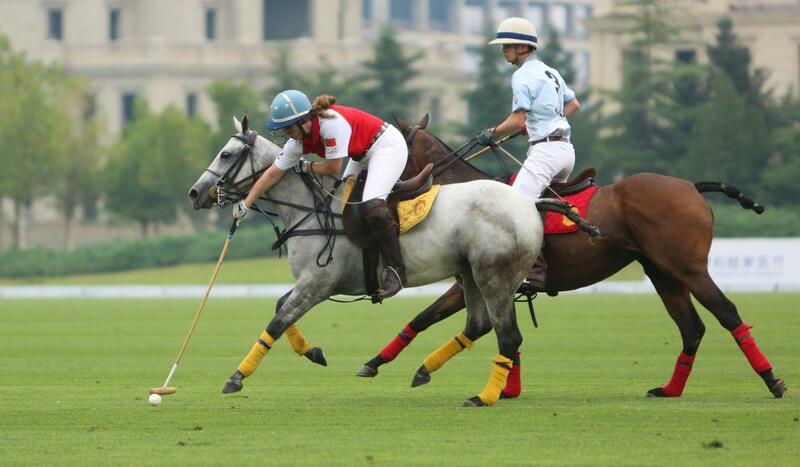 With the invitational tournament taking place for the fourth time, in the opulent grounds of the Tianjin Goldin Metropolitan Polo Club, the scene is set for a cross-Atlantic battle to be crowned winners, with both sides demonstrating impressive form in the event so far. 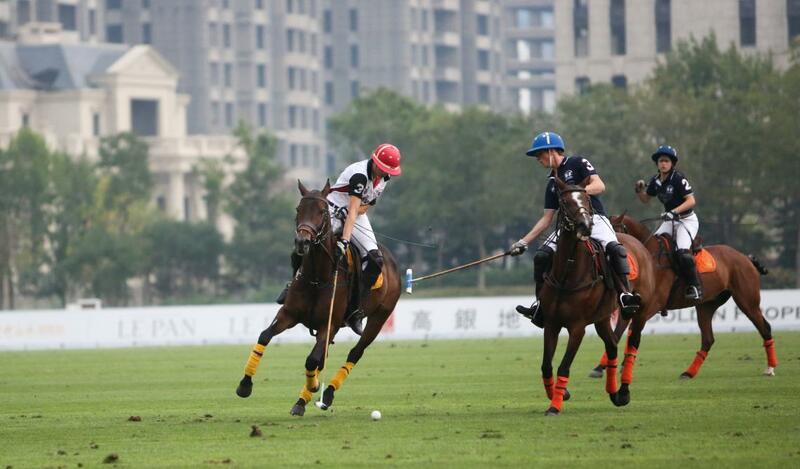 Before the semi finals took place today in northeast China on South Field – a stone’s throw from the Metropolitan Tianjin Goldin Hotel that has housed the players all week – The University of Cambridge Polo Club and holders The University of London Polo Club squared up for the 5th and 6th place decider, with Cambridge edging the match 5.5-3. 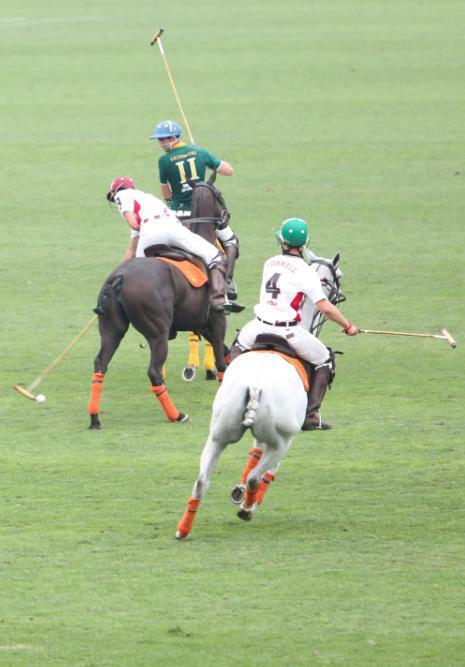 Cambridge started the atch with a 0.5 handicap score advantage and didn’t take long to bang in three goals to extend their lead. Having struggled in the early stages of the tournament they finally found their flow, with Theo Wethered Sara Devereaux and Suki Whitehouse all getting on the scoresheet in the first chukka before London replied in the second chukka with an easy free hit from Ali Jumabhoy towards an undefended goal. Wethered converted a penalty then London’s Arthur Cole-Fontayn, who had looked strong throughout the week, cut in from the right and converted after his initial effort from a strong run looked to have fizzled out. 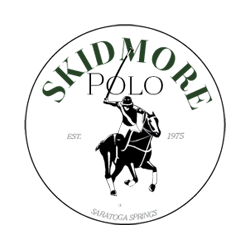 The match ended 5.5-3 shortly after a strong Ben Lawrence run for Cambridge that helped the team leave a strong impression despite not making it through to the sharp end of the knockout stages. Cornell and Skidmore both looked up for the fight for their crucial semi final match, with Cornell ending up with their noses in front with a 6-3 win against the Skidmore debutants. Charlie Bullis has been Skidmore’s main creative force in the tournament, but it was team mate Meggie Danielson who got on the scoresheet first following a strong Bullia pass before Cornell’s Liam Palacios leveled things up with a great shot after he escaped two defenders, his effort bouncing in off the right hand post. Ryan Saul, another of the tournament’s standout players for Cornell, got his team ahead by bouncing a 30 yard free hit in off the left hand post. In the second chukka he doubled his personal tally of the match , hitting some incredibly well-controlled approach shots to make room for himself to slot home and extend Cornell’s lead to 3-1. Pilacios, meanwhile, seemed to grow into the game for Cornell as time wore on, making no mistake with a huge goal-ward hit after cutting in from the left flank, then his team-mate Emma Eldredge gave Cornell a 5-1 lead, picking up a loose ball after good work from Dan Shaw who made an impressive ride from his own half. Skidmore reacted well to the increasingly gaping scoreline, though, with Bullis making a beautiful run over 2/3 of the pitch before shooting wide then slotting home a 30-yeard free hit. Santiago Avendano then made it 5-3, scoring for Skidmore after knocking forward two perfect approach shots and creating himself an easy chance to finish. Skidmore were on the ascendency near the death but Ryan Shaw for Cornell dashed any hopes of a full revival, scoring an easy finish after Palacious drove forward and left the ball sitting invitingly in front of the goal for his team-mate. With Cornell’s place in the final booked, the second semi final proved a tetchier affair in the first chukka, with neither Oxford nor Harvard managing to score despite strong, purposeful drives forward from Oxford’s Louis Maddison, perhaps the standout player of the tournament so far. In the second chukka, however, Oxford switched up a gear and romped to a 3-0 lead. Maddison, who had been free scoring in his previous games for his team, was the first to chalk up a goal, driving through a crowd near the Harvard goal and hitting home as space opened up for him unexpectedly. His team’s second goal was not quite as pretty, with Charlie Hitchman hitting home after something of a goal area scramble. Hitchman then scored a wonderful goal after being fed a through ball by Maddison, showing pace and poise to leave the Harvard defenders for dust and hit home. 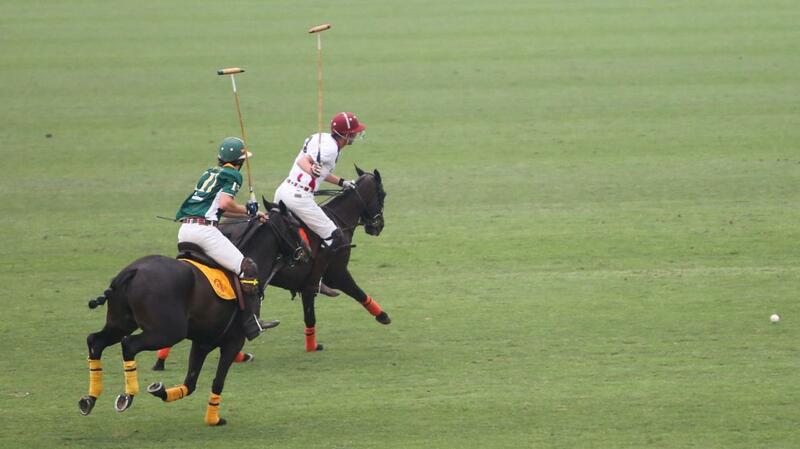 The game seemed set for a resounding Oxford victory, but Harvard clocked up two goals in a row in the third chukka. Thomas Waite hit a forceful penalty home for the US team before Danielle Lussi, who had been making hugely impressive flanking runs in her team’s previous games, again showed her class with a well worked goal following a period of positive Harvard play. A full Harvard comeback was not to be, however, with Hitchman bagging his third goal of the day as light faded in Tianjin, breaking from the centre to make the score 4-2 before the final bell rang. Maddison made another massive run at the death but he ran out of seconds to hit home. 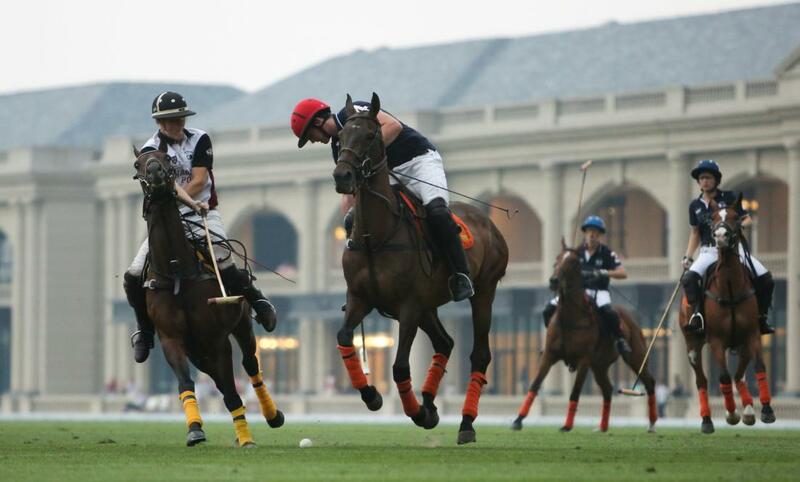 Oxford will now have hopes of a tournament victory tomorrow as they take on their US counterparts Cornell as the Metropolitan Intervarsity Polo 2016, also known as The London Challenge, reaches its climax.